I. Ordinary Congress of Caucasus University Association took place in Ardahan University between 08-13th May 2011 with the attendance of Prof. Dr. Yusuf Ziya Ozcan – then-president of the Council of Higher Education of Turkey – and with the contributions of Yunus Emre Institution. Caucasus University Association organized a students’ symposium called as “Young Views on Caucasus” hosted by Nakhchivan State University on 14-15 November 2011. 70 students from 29 universities in Turkey, Azerbaijan, Georgia, Iran, Kazakhstan, Kyrgyzstan, Turkmenistan and Ukraine presented papers which handled Caucasus geography in terms of historical, linguistic, cultural, literary, artistic, financial and social aspects. 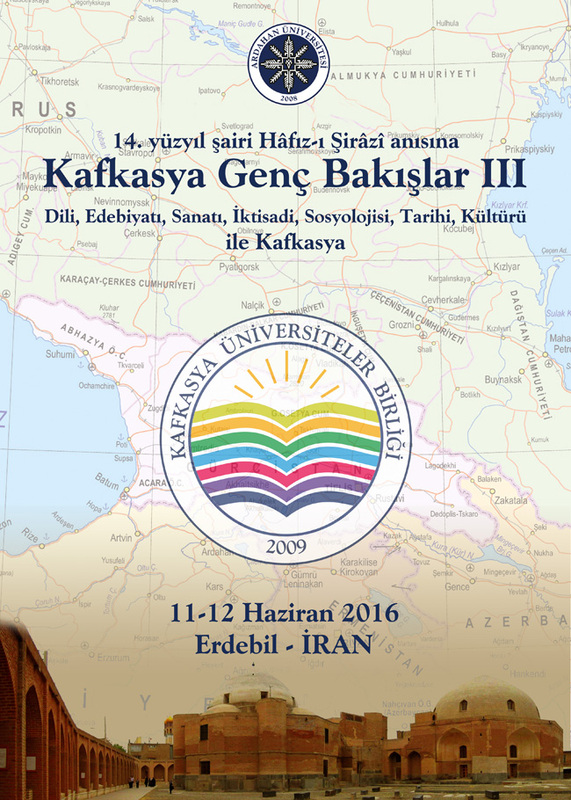 The second symposium was held in Tabriz University, conference hall of Faculty of Economics and Geography in 15-17 September 2015. ACU President and Ardahan University Rector Prof. Dr. Ramazan Korkmaz, Tabriz University Rector Prof. Dr. Pour Mohammadi, the president of Atatürk Culture Centre Prof. Dr. Turan Karataş, Kilis University Rector Prof. Dr. İsmail Güvenç, Marmara University, Turkish Studies Institute Coordinator Prof. Dr. Gülşen Seyhan Alışık, Turkish Ambassador Güven Begeç in Tabriz, many university administrators, academicians and postgraduates from Turkey, Iran, Kirghizstan, Azerbaijan and Cyprus. A Mevlana Exchange Programme protocol was prepared by the Council of Higher Education of Turkey in order to exchange both students and academic staff among the member universities. II. Ordinary Congress of Caucasus University Association coordinated by the presidency of Ardahan University was held in Batumi, Georgia in 4-5 May, 2012 with the participation of The Council of Higher Education President Prof. Dr. Gökhan Çetinsaya. “ACU Turcology Department Heads Meeting” was held in Eskişehir which is the Capital of Turkish World Culture. 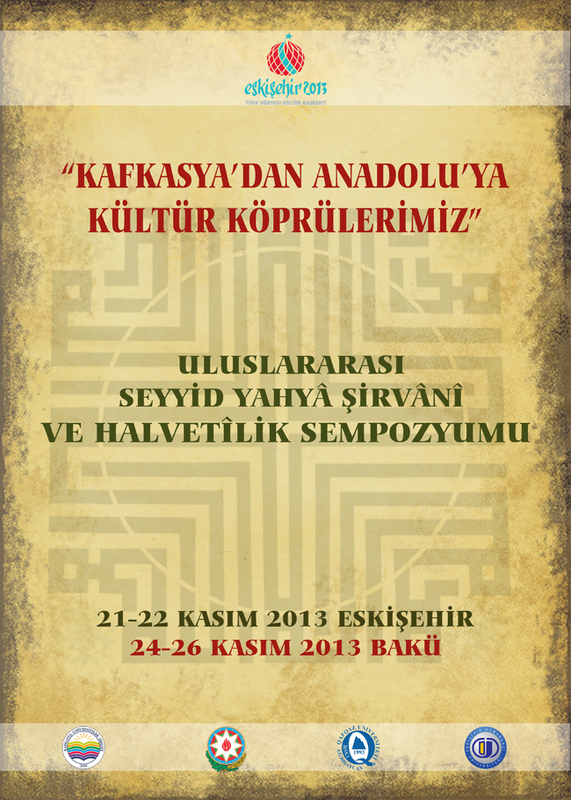 By coming together in Eskişehir in 6-8 May 2013, Turcologists shared suggestions and assessments relating Turkology. In the meeting, the problems of Turkology, solutions proposals to these problems, different opinions about Turkish language, Turkish culture, Turkish literature were argued. There was also a final declaration at the end of sessions. III. Ordinary Congress of Caucasus University Association was held in Baku, Azerbaijan in 20-21 May 2013. The meeting which was participated by a lot of member universities, statesman, rectors, academic staff and bureaucrats especially from Turkey, Georgia, Moldova, Azerbaijan, Kazakhstan, Ukraine, USA and Cyprus was mostly about Baku and had widespread world media coverage. With the new participating members, CUA augmented its members up to 62. Also, The Minister of Turkish National Education, Prof. Dr. Nabi Avcı and The President of Council of Higher Education, The Minister of Azerbaijan National Education, Mikayıl Cabbarov participated in the congress. “International Conference on Endangered Languages” was held in Ardahan University holding the presidency of CUA in cooperation with Turkish Language Association, Harward University Smithsonian National Museum of Natural History, Foundation For Endangered Languages, Rice University, Kyrgyzstan-Turkey Manas University and UNESCO in 14 October 2014. Over 40 scientists from all over the world participated in the conference. During the conference which is about endangered languages in Caucasia, middle Asia and other continents, thousands of language, dialects and accent which are on the verge of distinction within 100 years were argued and it was decided to establish a language institute. “The Faces of Caucasia” is CUA’s another conspicuous project which was initiated after III. Ordinary Congress and whose general purpose is to make the history, culture, language, traditions and various values of the people visible living in the same geography and to transfer these values to next generation via the living witnesses of the history. Caucasus University Association taking firm steps in internationalizing organized education fairs to promote universities in Turkey and their education quality all over the world. The first education fair was held in Baku, Azerbaijan in 03-04 May 2014 then in Skopje, Macedonia in 14-15 March 2015 and again in Baku, Azerbaijan in 11-12 April 2015. The Minister of Energy and Natural Resources Taner Yıldız, Presidency General Secretary Prof. Dr. Mustafa İsen, The President of CUA and Ardahan University Rector Prof. Dr. Ramazan Korkmaz, Azerbaijan Authors Union President Anar Rızayev, Statesmen within the country and abroad, bureaucrats and University Rector, Institute Manager and media organs participated in congress organised by CUA with the contributions of Prime Ministry Turkish Cooperation and Development Agency, Presidency of Turks Abroad and Related Communities, Caspian Strategy Institute and he Ankara Center for Political and Economic Research. Caucasus University Association CUA, founded in 2009 under the leadership of Ardahan University with 102 members from 13 country with its slogan “A Future Projection.. “ and draw attention as an academic cooperation institution, is going on seeking solutions to regional problems and offering route map globally. “Bir Gelecek Projeksiyonu…” sloganıyla 2009 yılında Ardahan Üniversitesi’nin öncülüğünde kurulan ve günümüzde 13 ülkeden 102 üniversitenin üyesi olduğu uluslararası bir akademik işbirliği kuruluşu olarak dikkat çeken Kafkasya Üniversiteler Birliği (KÜNİB), bölgesel sorunlara çözüm aramaya ve küresel çapta yol haritaları sunmaya devam ediyor.